High precision digital manometer. Fits Presta and Schrader valves and pressures up to 11 bar. 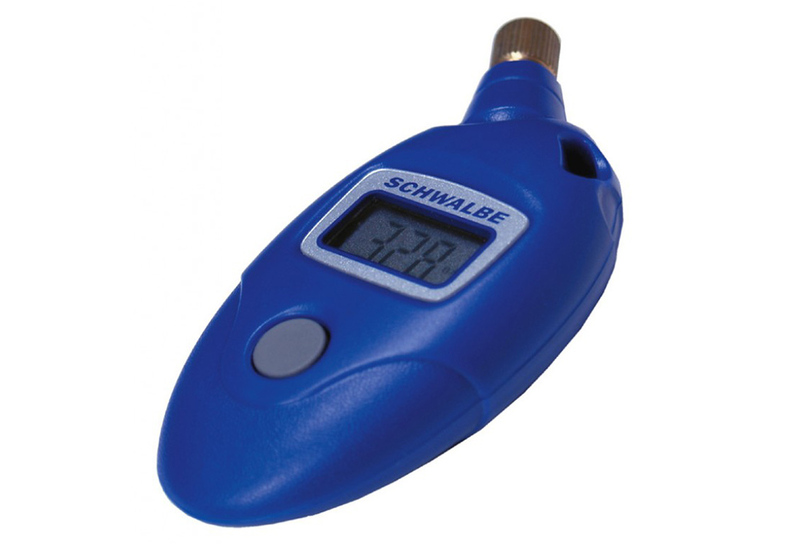 It is recommended to check the tire pressure at least once per month with a digital gauge. A check tire pressure with the thumb is insufficient because only half inflated tire already seems to be properly inflated. It is common for cyclists ride with under-inflated tires. They thus run the risk of reducing adhesion. In addition, tire damage faster.